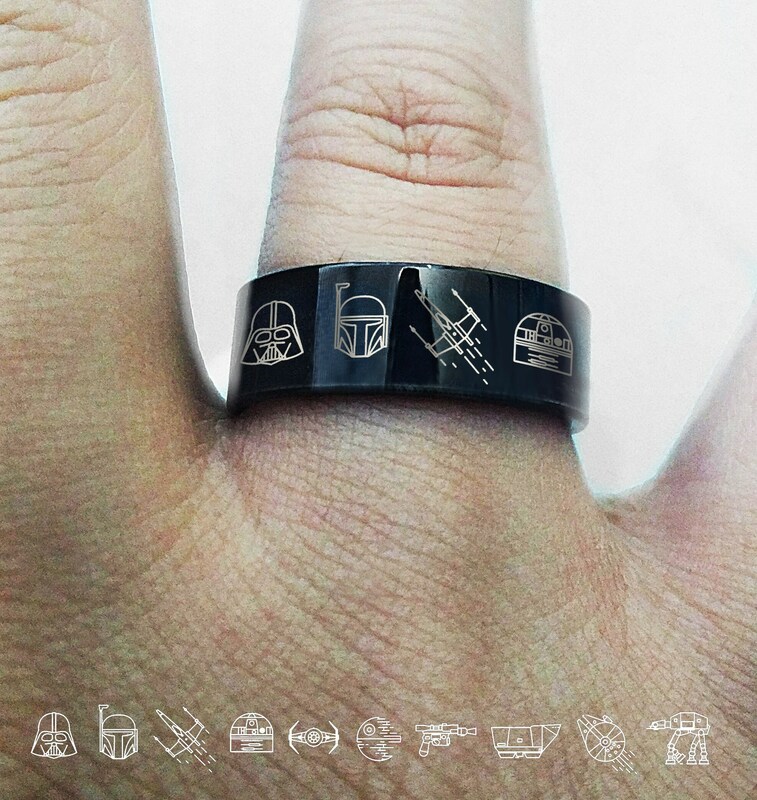 This is a flat polished black tungsten carbide ring with an awesome collection of simple and minimal Star Wars characters. These characters include Darth Vader, Boba Fett, R2D2, the Death Star and many other famous icons. You can pair this outside Star Wars engraving with any quote engraved on the inside, including quotes from the film!